By bringing the series to World War I, DICE has created a tighter, more intense take on the Battlefield formula. 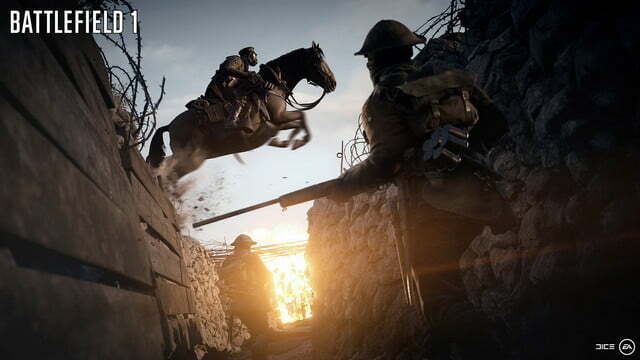 In the opening moments of Battlefield 1, it quickly becomes clear that you won’t be getting out of the game alive. The first-person shooter drops players into muddy ruins as a German charge roars, signaling a wave of soldiers pouring over the destroyed hills just ahead. Surrounded at the front line, your only hope is to keep firing — until a soldier carrying a flamethrower lumbers up, with most of his body covered in plate metal armor. Eventually, you die. Your soldier’s name appears like an epitaph, superimposed on the screen. Then it’s off to a new character, with voice-over narration setting the scene of a devastating war that changed the face of the world. Before long, there, too, are you overwhelmed. Another soldier’s name, another set of dates. Battlefield 1’s prologue repeats this process again and again, making one thing clear: This isn’t a heroic game about saving the world. 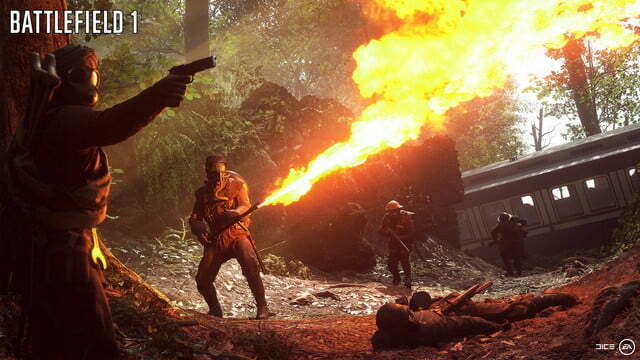 That’s to the game’s credit, because while you might expect a first-person shooter that emphasizes sweeping 64-player gun battles to glorify its conflicts, Battlefield 1’s single-player campaign works to tell personal stories that feel (mostly) true to our conception of the Great War. 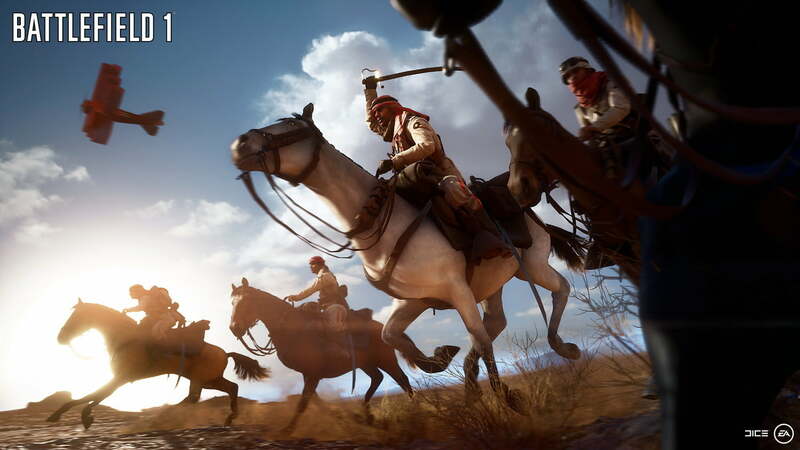 In dialing back to lower-tech infantry battles from a century ago, Battlefield 1 finds a refreshing, intense spin to bring to multiplayer battles — especially when it’s invoking its historical settings. While the single-player campaign of Battlefield 1 is interesting in its own right, the focus of the series has always been on multiplayer. 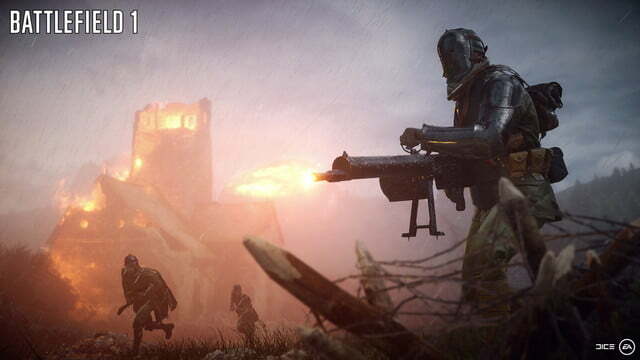 And it’s in multiplayer specifically that developer DICE’s focus on the past translates into technical changes that invigorate competition and set the game apart from a growing field of multiplayer shooters. The real stars of Battlefield 1, it must be said, are its period-specific, ruined maps and levels. Utter destruction is everywhere, from ravaged villages to artillery-blasted fields, and DICE has leveraged these locales to create maps that make use of terrain in ways that feel unique to each experience. This isn’t just a series of maps with long sight-lines on one side, and plenty of cover on the other: Thanks to the series’ emphasis on terrain deformation and building destruction, they feel like warzones that change over time and require you to adapt constantly. 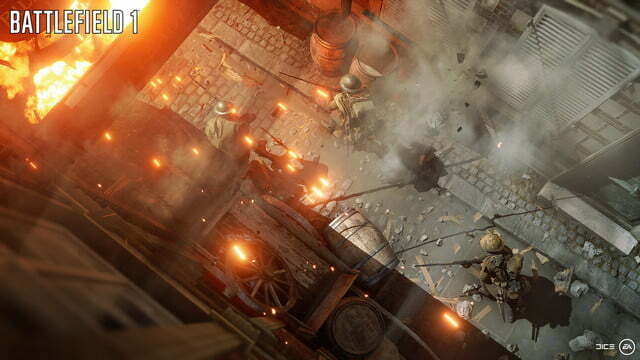 Strong map design captures the war-ravaged feel of the period, but that’s only the beginning of how DICE has captured World War I in a way that works great for multiplayer. Battlefield 1’s embrace of its 20th century setting has led to some important technical tweaks to the Battlefield formula. Vehicles are slow, often lumbering, and can feel fairly vulnerable. Weapons are slower and more deliberate in their usage. Guns generally seem less effective at long range, which means players have to get into tighter proximity to battle. 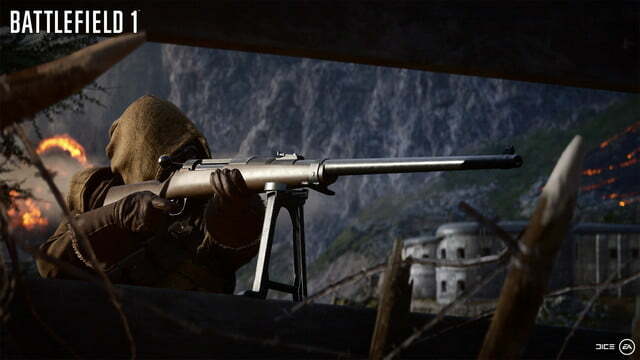 Even with snipers on the field — a mainstay for Battlefield — the game is rarely dominated by a single player or character class. It’s also obvious that DICE focused on making different classes effective at different ranges. The rock-paper-scissors component created by the classes often makes engagements harrowing and intense. While maps are large, most of the action is concentrated tightly as many players charge into battle. Maps feel like warzones that change over time and require you to adapt constantly. The effects of Battlefield’s historical context become most clear (and fun) in Battlefield 1’s “Operations” multiplayer mode. 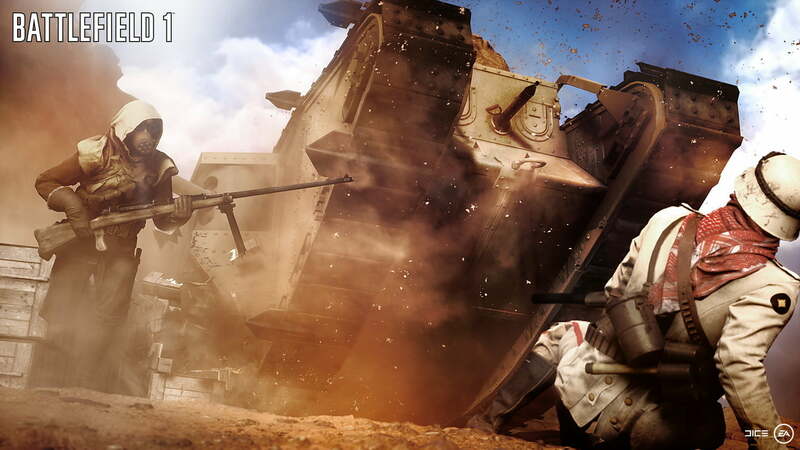 Operations recreates historical battles as attack-and-defend-style matches in which one team hopes to hold ground and the other fights to take it, stretched over two maps for a lengthy engagement. Attacking players charge toward enemy positions with whistles blaring and the crowds of soldiers roaring, while defenders hope to brace themselves and survive the onslaught. These battles get brutal and desperate, especially the longer they go on, as Behemoths — giant, tough-to-kill vehicles like battleships and zeppelins — arrive to sway the tides. 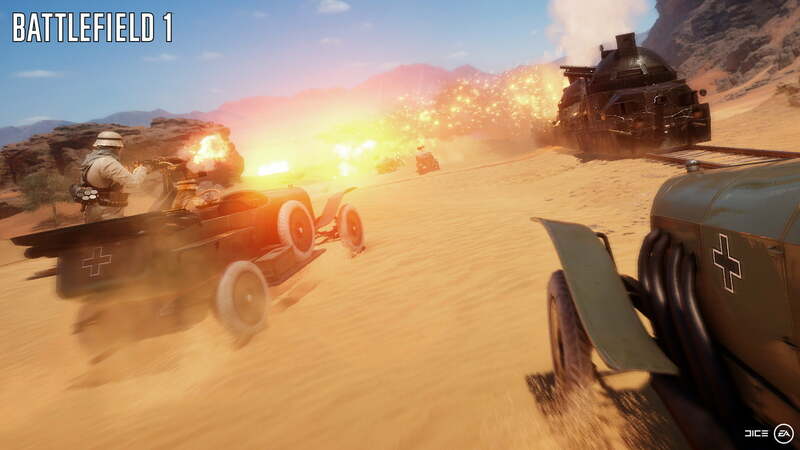 All these elements — the huge team sizes, the vehicles, the ravaged maps, the environmental destruction, the class system — come together to make enormous, explosive multiplayer experiences. Every battle feels hard-fought and every victory feels like a hard charge. 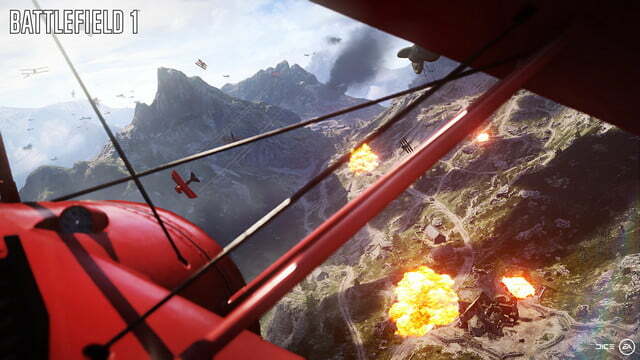 Battlefield 1 packs more traditional multiplayer modes as well. You’ll find your usual big-team Conquest matches focused on grabbing territory, Team Deathmatch, in which kills are king, and smaller versions of traditional games that keep the engagements tighter and leave out vehicles. There’s also “Rush” mode, where one team sets bombs to the other’s communications lines, hopefully before the telegraph stations can call in artillery strikes. Probably the best and most frantic new multiplayer mode offers a “kill the carrier” variant where two teams compete to capture a messenger pigeon. Grabbing the pigeon reveals its carrier to both teams, and one team has to hold the pigeon long enough to write and send a message to call in an artillery strike. Standing still writes the message faster than moving, so the mode turns into a speedy mobile defense battle as pigeon carriers look for safety to dispatch their messages. Once the orders are written, players have to release the pigeon into the air in open space, leaving it vulnerable to be shot down by the other team for a short time. The whole mode feels frantic, ridiculous, and different from anything else in Battlefield 1. If there’s a drawback to Battlefield 1’s multiplayer offerings, it’s an overall lack of variety. While capturing the pigeon feels like a tonal departure from formula, the other game modes are variations on the same “big battle” modes in “Conquest” and “Operations.” Though the objectives are slightly different in “Rush” or “Deathmatch,” the games are driven by the same basic goals, eliminating players and holding territory. A number of post-launch maps have helped to draw attention to new regions and armies during the conflict, including the bloody Battle of Verdun, and more are scheduled to launch in autumn 2017. A “Premium Friends” feature added in March will keep squads together, even if only one player owns the downloadable content, provided that they remain in a party while competing online. And while, of course, killing is the focus because Battlefield 1 is a shooter, it means that not all multiplayer modes are nearly as interesting or exciting as the others. 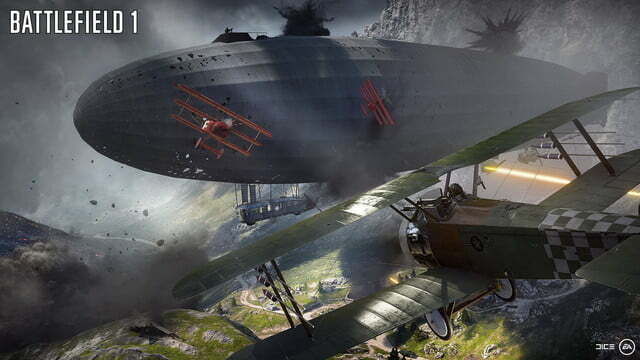 Battlefield 1 hits hardest when its gameplay feels vast and varied, and the multiplayer modes that trim out elements or tighten the experience feel like inferior versions of their bigger, better counterparts. While multiplayer has always been Battlefield’s focus, the series has always provided some kind of single-player component, though its campaigns have often landed with mixed results. 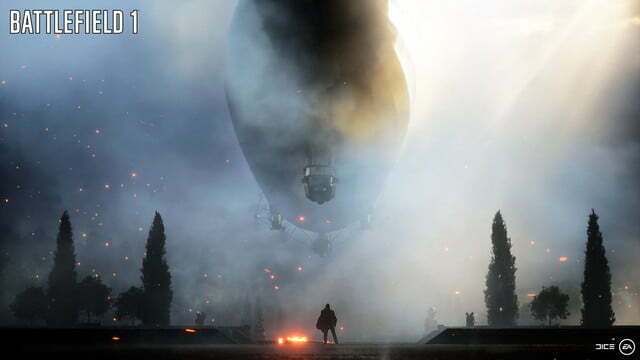 This year, DICE has changed its approach, Rather than presenting a single, bombastic, action-movie narrative, Battlefield 1 presents a series of World War I stories that work as variations of a single theme: heroic soldiers in terrible situations. To some degree, these stories are tutorial chapters for multiplayer. One focuses on a pilot and his gunner, giving players a chance to learn how to handle aircraft. Another is all about a tank crew, with plenty of time spent discovering how to best handle it. 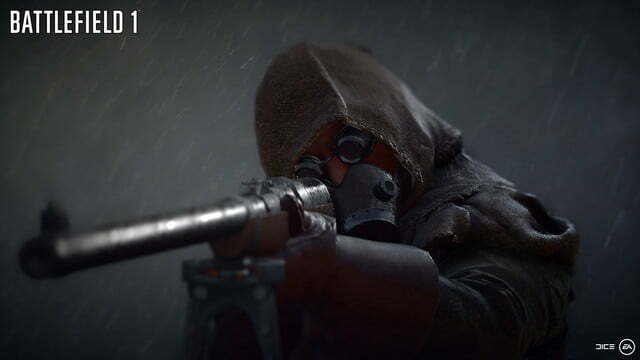 Each is a look at different component of the Battlefield 1 whole, offering a variety of gameplay experiences that are diverse and fun, and a little easier to pick up than in the game’s multiplayer mode. Each chapter picks up the tale of a different player character in a different theater of the war. An Australian war hero acts as a messenger between lines in Galipoli in one chapter, while a Beduin fighter joins T.E. Lawrence, better known as Lawrence of Arabia, in another. The writing can be hit-and-miss, but the chapters at least do well to bring players emotional, if brief, snapshot stories that depict pieces of a turning point in modern history. Of course, the over-the-top video game-ness always shines through in these stories — you’ll take down scores of soldiers on your own in every chapter, and single-handedly turn the tide of the war effort. Despite your characters’ superheroic feats, Battlefield 1 takes on a degree of authenticity that’s fresh in the current crop of shooters. The game isn’t a class on World War I, but it is something of an interesting look into the period and captures some of its intensity. 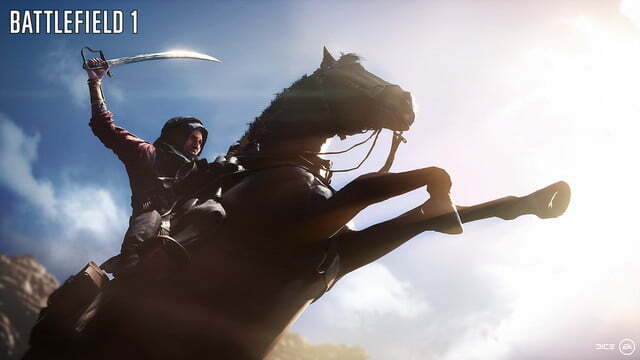 DICE’s decision to look to the past for Battlefield 1 has changed the game for the better in all its forms, from the moment-to-moment struggles in multiplayer engagements and lengthy 64-player battles, to its single-player campaign. In taking on an era of warfare less technologically advanced than where the series has previously been focused, DICE has been able to work in vehicles and weapons that do a phenomenal job of capturing close, brutal engagements, even in its biggest maps and modes. 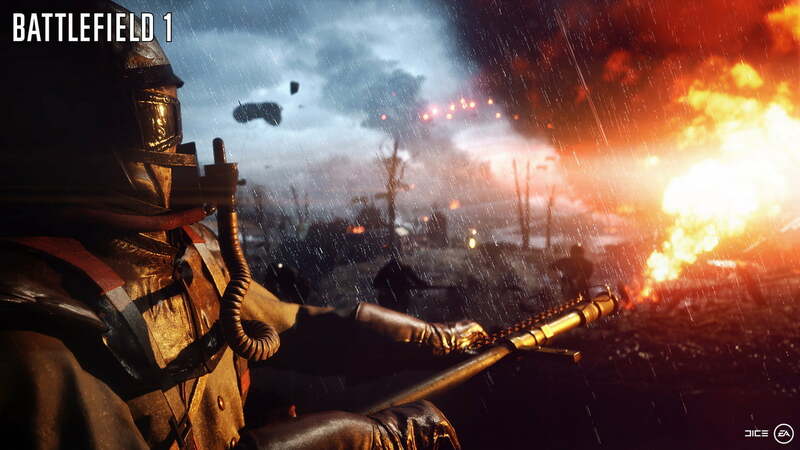 Battlefield 1 distills the series’ greatest strengths. The field of multiplayer shooters is definitely crowded, with mainstays like Battlefield and Call of Duty flanked by smaller competitors such as Overwatch and Titanfall 2. Right now, though, there’s nothing quite like Battlefield 1. 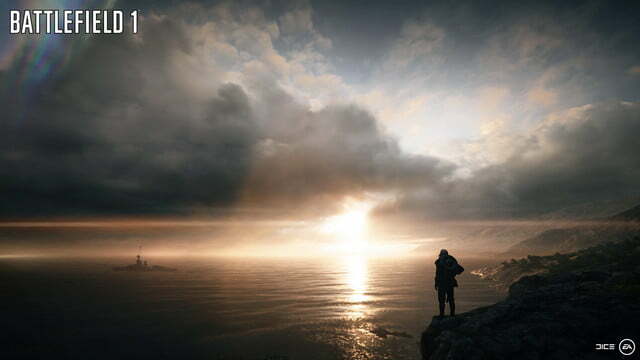 Its historical setting, its huge team sizes, its vehicles, its maps – together these elements create a very specific shooter experience that’s hard to match among this year’s AAA shooters. However, its post-launch multiplayer maps still cost money, while Titanfall 2 and the upcoming Star Wars Battlefront II release them for free. 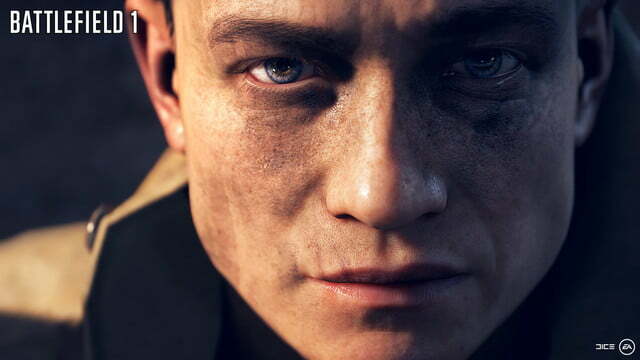 It’s always hard to say just how long the life of a video game really will be, but DICE will definitely be supporting Battlefield 1 with post-release content, and if the period between this game and Battlefield 4 is any indication, players will likely be slogging through these trenches for at least a few years. Yes. 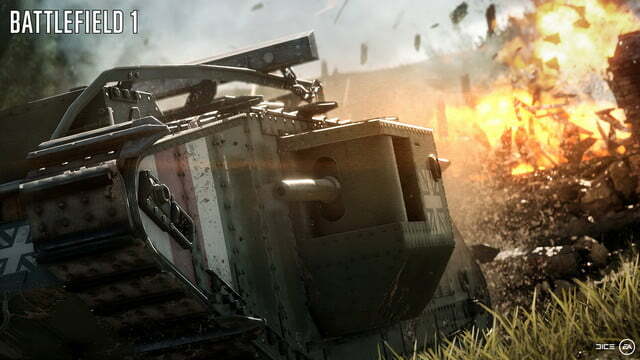 Battlefield 1 offers a specific kind of shooter experience, and it excels. With an interesting take on its single-player campaign, and cool variations on traditional multiplayer modes, Battlefield 1 is going to keep shooter fans busy for a long time.